We put the fun into wedding dance lessons in Adelaide. So you’ll LOVE creating, learning and performing a wedding dance routine created just for you. 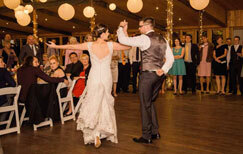 Adelaide Wedding Dance will help plan your Wedding Dance Lessons from Beginning To End! Come in for your First Wedding Dance Lesson FREE – No Obligation! Experience first hand how fun and simple it can be once you know why and take the first step! Contact Us Today! Father & Daughter, Bridal Party & more… We will ensure you enjoy the journey and look fabulous on the day! Our wedding couples dance rehearsals & finished dance product. Watch the Testamonials that our couples have to share of their wedding dance journey with us! I think it was challenging and it proved to Vickie and I that we got the ability to do something together. I think we have created something beautiful for our wedding and I think that it has probably bought us even a little bit closer together. I would absolutely recommend you guys…Professionalism. It’s excellent. Very high standard. It’s fun. It is something that you can together and you can do by yourself. There is definitely a format to everything and I was enjoying learning the format and I really like the first steps that you showed us. I thought it was a great start. We walked out of here and we definitely know that we went to the right place. We felt good. I was really blown away with what we came up with such a short period of time. I never anticipated that at all. It exceeded our expectations by 10 fold. 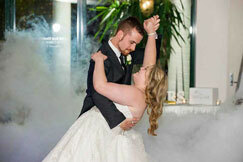 Adelaide Wedding Dance is a branch of Dance Amor – one of the best dance schools in Adelaide. Any students having private dance lessons in Adelaide, including wedding couples, can attend any of the group classes throughout the week for free. 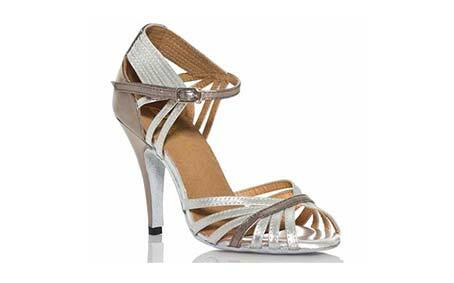 They have a range of dance classes for adults in latin and ballroom styles. So you can improve your skills, have fun and experience a wide range of dance styles at the same time as you learn to dance for your wedding. Do you offer a Free trial wedding dance lesson ? What dance styles do you usually recommend for a first dance? The choice is yours! Our experience will allow us to help you with traditional dance styles such as Rumba & Bridal Waltz for your wedding dance. However, the trend have also been a mash-up of traditional and modern. Click on – Wedding Dance Video Hub to watch some of our wedding couples dance routines. Other dance styles such as Cha Cha & Swing are also possible. As some dance styles are more difficult than others, we will recommend dance styles & level of difficulty is dependable on your time & committment. Our key goal is we will work with you to make your wedding dance enjoyable & memorable. For details visit Planning Your Wedding Dance. We are thinking of having a bridal party dance, can you teach them too? We have no dancing experience before. Will it be difficult for us to pick up our first dance?